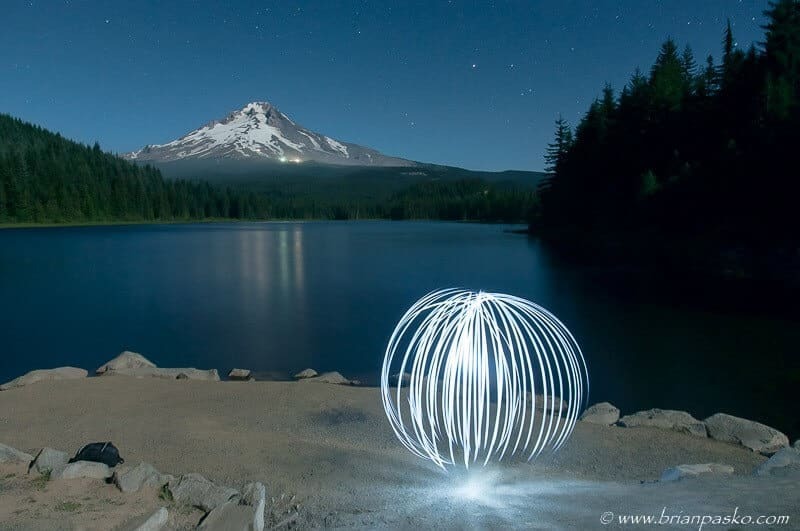 The concept behind creating a light orb is simple: you set your camera to take a long exposure, you walk out in front of the camera with a flashlight on a string, and then you start swinging that flashilight around quickly while you turn in a circle. The actual implementation of this process is sometimes more complicated. For instance, it is important to make sure that your flashlight is securely attached to your string, or you might find yourself wading out into the middle of a lake in order to retrieve it. 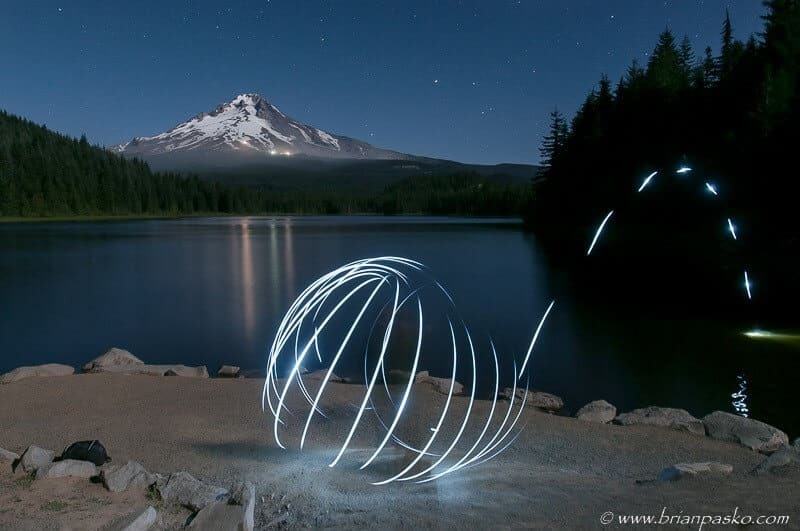 Whoaaaaaa…is that cool or what!!! ??? ?Amazing!